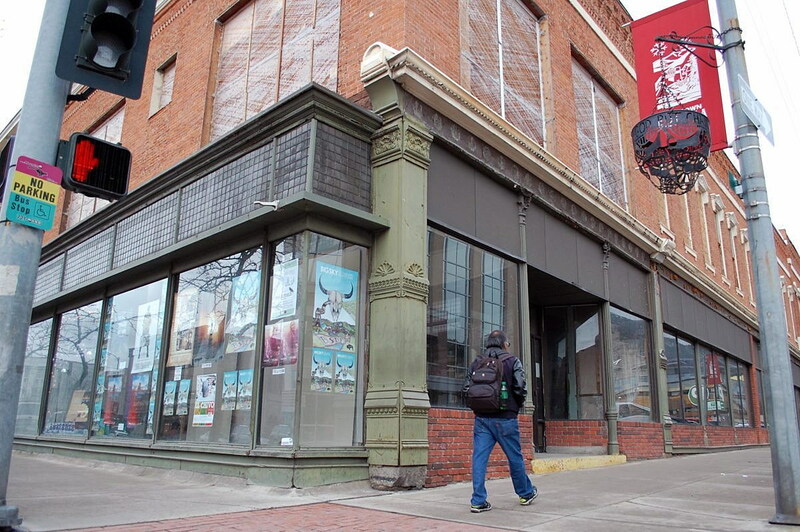 A meeting set for Tuesday night by the Missoula Historic Preservation Commission saw just four of 11 members in attendance, leaving the board without a quorum as it discussed the known facts surrounding a permit to deconstruct the Mercantile. The lack of a quorum left the developers with HomeBase frustrated. Tuesday night’s meeting follows two weeks after the commission held a public hearing that lasted nearly four hours. The commission made no decision at the time, citing a need to explore additional facts on the application submitted by HomeBase. Commission members agreed to set Tuesday’s hearing to discuss the facts, but only four members showed up to do so. Members of the commission expressed equal surprise by the lack of attendance. Despite the lack of a quorum, the four members worked through the findings of fact upon which the commission must base its decision to approve or deny the applicant’s permit to deconstruct the Mercantile. On most accounts, the four agreed that the property’s owners had met the required criteria, though they had questions regarding reasonable economic use of the property. They also asked HomeBase how its project evolved over the past year. Holloran said the team approached the property intending to renovate the building with ground-floor retail and offices on the second floor, while building a hotel on the adjoining parking lot. However, he added, the financing didn’t pencil out. Holloran, who has given a similar presentation several times before, said HomeBase also explored a partial renovation, which also proved uneconomic for similar reasons. The team also looked at saving the Mercantile’s facade, though its engineers deemed the brick unsuitable for reuse. Commission members also asked why HomeBase had chosen the Mercantile property to construct a proposed $30 million custom hotel. Holloran said the city’s net migration, job growth, vitality and opportunity make it an attractive market. The corner of Higgins Avenue and Front Street in downtown Missoula is one of the city’s prime locations, he added. The four members present at the meeting agreed they had enough information to make a motion on the permit at next week’s regularly scheduled meeting. However, commission member Mike Monsos was unsure if the other seven commission members felt the same way.